Didn’t you ever see a fall? In the middle of a Masai Mara safari, the tourists inside the jeep got an unexpected company. A cheetah that had climbed on to the roof, fell inside the car almost getting into the lap of one of the tourists, that were feeling a mix of feelings between fear and laughter. 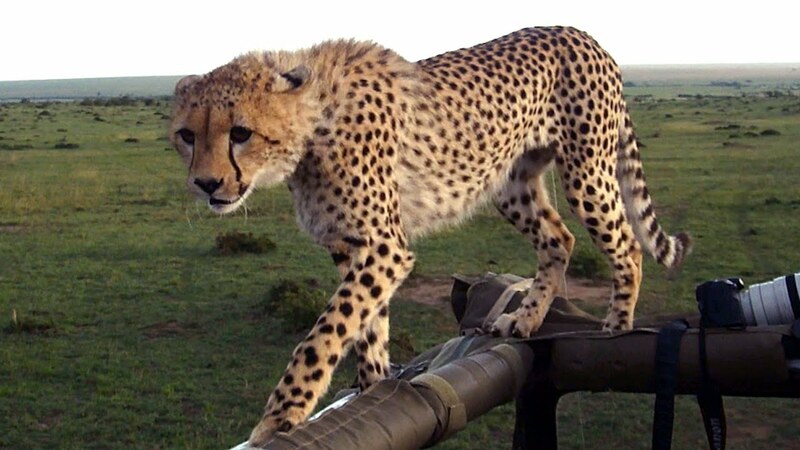 It is interesting to not how the cheetah only worried to get back on the roof, didn’t attack anyone, even if it was a bit panicked. Then, back on the roof was just curious to understand what all the fuss was about. “Hae you never seen someone fall?” must of been through this beautiful animal’s mind.